You are here: Home \ Environment \ Going Green \ Organic Foods – Way to a better future? Organic Foods – Way to a better future? These are some of the concerns that have been given voice to with increasingly alarming frequency in the recent past. One cannot help but wonder if our planet will survive the desecration that it has been going through for long. 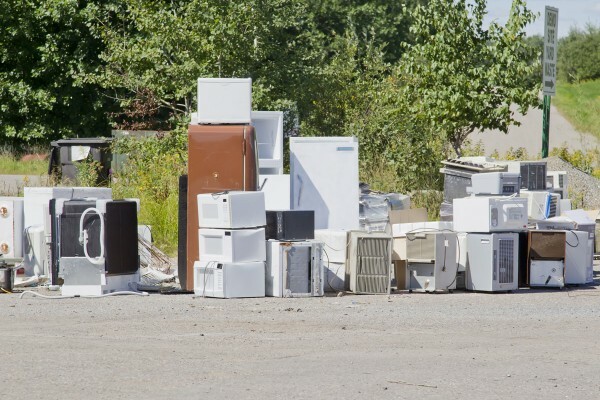 In every field imaginable, we, as a race, have been contaminating our home for over three hundred years. The world was a much cleaner place to live in before the advent of the industrial revolution. One cannot say that the pioneers of the said revolution were at fault either, for they could not, even in their remotest nightmares, have foreseen the distress that Mother Earth is currently in. The problem of pollution is so omnipresent that it has finally done what it has threatened to do all these years-attack the very heart and soul of any civilization, the primordial reason for the struggles that every person endures, food and agriculture. Today, the population of the earth is on the verge of crossing seven billion people. Thus, a natural corollary is that more and more land has to be converted to meet agricultural needs. But this cannot be done beyond a certain point for obvious reasons of habitation and suitability of land. Thus, the same, relatively small percentage of land that is available for agriculture has to be used optimally. It is in the quest of this mission-maximum food production with minimal land under production, that the aforementioned debasement has taken place. Increased use of fertilizers, insecticides, pesticides and other synthetic substances to improve production without a structured thought process for the consideration of possible side effects has made large factions of hitherto fertile land unusable and the food germinated on such land inedible. This is because the food absorbs minerals and water from the soil, which is now saturated with chemicals which were supposed to increase productivity. These chemicals also dissolve in water and are taken up by the plants to permeate all its parts. Thus, any food obtained from such plants present a certain level of danger to all living organisms which depend on these plants for food. Long term use of such crops for food substantially increases the toxicity in organisms that consume them. Furthermore, these chemicals also seep down to the water table and get washed into rivers and lakes, and inadvertently enter the food chain, as the only non-living, but most dangerous part of it. In many cases, bio magnification occurs and leads to the deaths of large masses of aquatic organisms. Thus, the only conclusion that can be drawn from the above arguments is that organic foods are the way to the future; a future that includes not only the human race, but also the entirety of plants, animals and other organisms that collectively make up the living population of our planet. So what are organic foods? 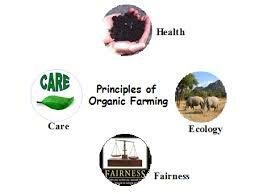 Foods that are produced as a product of organic farming are called organic foods. Now that begs the question, ‘What is organic farming?’ Basically, farming, which to a large extent, limits the use of any and all chemicals is called organic farming. In this kind of farming, anything that can potentially harm nature, directly or indirectly, is prohibited from being used in farming. Instead, sustainable methods such as crop rotation, use of plants that fix atmospheric nitrogen, using green manure and other such methods can be used. In addition, biological pest control methods, natural compost, etc. can also be used. Organic farming is not just a fancy theoretical concept. It is a type of farming that is actually legally enforced and regulated in many countries. One of the most important reasons why organic farming is gaining popularity is that there is minimum use of off farm products in this method. It strives to make farming self-sustainable by recycling the by-products of farming and using it as manure or insecticides or any other productivity enhancing material. It is a system that betters soil quality while simultaneously improving the biological ecosystem and ensuring biological activity in the immediate surroundings. Organic farming depends on techniques that mimic natural processes. In place of insecticides, predators that eat insects are encouraged. Soil quality is improved using crop rotation so that crop specific insects do not recur. Other benefits of organic farming are that the huge funds that go into producing the millions of pounds of pesticides can be redirected. Over half a billion bacteria that are useful in enriching the soil can be infused into the soil in organic farming. It also helps in preventing soil erosion. Moreover, soil enriched by organic farming can store humongous amounts of carbon dioxide which may turn out to be the most effective way to control global warming. 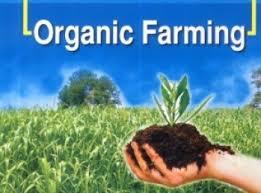 Finally, organic farming has almost no disadvantages if it is used effectively on a large scale. In a nutshell, Gandhiji’s words say it all. For this, organic farming is the best way forward.